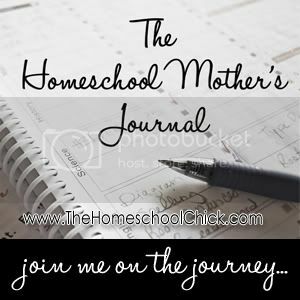 This week I decided to combine my Homeschool Mother's Journal and Tot School posts since most of the stuff we did was together. We took it easier at the beginning of the week since the kids were feeling sick. I don't really like for the kids to watch a lot of TV but we did watch Super Why, Word World and Sid the Science Kid almost every day this past week. I didn't mind it as much though because the kids aren't just mindlessly sitting & staring at a screen - they're actively listening, figuring things out and yelling out answers. We also did a few activities the kids/people on the shows did too like a prediction journal about the weather and writing out some of the words on our dry erase boards. A fun thing that both kids enjoyed this week (once they started feeling better) was the Batman Preschool Pack I downloaded from 1+1+1=1. The activities and games in it were super fun and Zeke especially loved seeing the familiar Batman characters. This week we didn't go much of anywhere since the kids were sick. We did go to my homeschool co-op's mom meeting at our local McDonald's one evening. (Next time I will probably just get a babysitter or enlist someone to go with me because it was hard to watch the kids - who were running back and forth from our table to the playplace - and try to visit with my fellow homeschooling moms & plan upcoming activities.) Yesterday we had lots of family and friends over for the birthday party and the kids had a great time running around with them all. Ellie's Princess Day - she decided one day this week that she wanted to wear her Cinderella dress and accessories - and why not? It was her birthday week after all! She wore the dress almost the whole day and it was so cute to see her running around & playing in it. We're definitely going to download some more of the Preschool Packs since the kids liked them so much. We'll have to play catch up a little this week to make up for some things we missed last week but that's okay. Zeke (my five year old) seems to be going through a phase right now that's not too fun. He's been back-talking and sassy to me about doing things around the house - I can very rarely get him to help me pick up. He is constantly running and jumping off of things, like the couch, tops of chairs, etc. When people talked to him at church yesterday he just ignored them and crossed his arms like he was mad, which was incredibly frustrating to me because I KNOW he can be nice and sociable. I've been trying to instill lessons in kindness, respect and being gentle but I don't really feel like I'm getting through at all. I guess I worry because I have a few family members who think that homeschooling him is wrong and I can already see them saying, "Ohh, he's acting like that because you're *HOMESCHOOLING* him." I should add this isn't an all-day, every day thing - it just seems to be happening from time to time throughout the week - and generally when we're around other people. So I'm sure it's just a stage he's in right now...but does anyone have any thoughts or advice? So sorry you had illness in your home. That's so hard and certainly no fun! Zeke seems to be testing his limits, which is very normal for his age. I personally love the book "Parenting with Love & Logic." I highly recommend it! And just ignore any negative comments you might hear about homeschooling! !